Combined system would create two-state, eight-hospital, $2 billion-plus, not-for-profit healthcare system. The two Chairs stated that Southcoast Health and Care New England have worked toward this agreement to affiliate since they announced their intent to study partnership potentials last November. The parties will now move toward the execution of the affiliation agreement and subsequent initiation of the required regulatory review processes in Massachusetts and Rhode Island. Both organizations will continue their collaborative due diligence reviews, and begin to develop the plans to operate an integrated health system capitalizing on each organization’s strengths in patient services and population health management. Combined, the new system would be a $2 billion-plus entity with eight hospitals and more than 15,000 employees. It would span a broad geographic area in Southeastern New England and offer an integrated network of comprehensive patient services. Care New England and Southcoast Health would be combined under a new system parent entity to be named following a comprehensive brand assessment. The combined not-for-profit system will uphold Care New England’s and Southcoast Health’s proud traditions of providing the best community-based healthcare possible to all patients. Under the proposed framework for the new entity agreed upon by each Board, Southcoast Health President and CEO Keith Hovan will serve as the President and CEO of the new health system parent company; Care New England CEO Dennis Keefe will become CEO of the Population Health initiative for the unified system; Care New England’s Board will select the new Chair of the system parent Board, and the Southcoast Health Board Vice Chair will serve as its Vice Chair. Southcoast Health and Care New England will each select 10 individuals in all to serve on the new system parent Board of Trustees. The Population Health initiative will be a signature program for the new system. Both Care New England and Southcoast Health have established Accountable Care Organizations and have been working to advance innovative approaches to care that improve outcomes, enhance patient experience and reduce cost. “We know nothing is more important to the people of southeastern Massachusetts and Rhode Island than a strong future for the healthcare systems that safeguard their health while providing jobs and community benefits, and advancing our teaching and research missions,” said Reppucci. “This affiliation helps to build an even stronger future for our organizations while importantly maintaining our steadfast commitment to our local communities. We look forward to continuing this collaborative and transparent process, sharing additional details about our vision for healthcare delivery as plans are developed and as we begin the regulatory process,” said MacCormack. 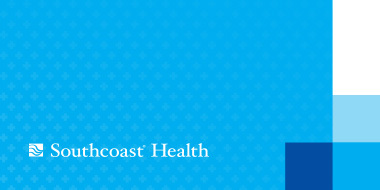 Care New England was founded in 1996, and today it is the parent organization of Butler Hospital, Kent Hospital, Memorial Hospital of Rhode Island, Women & Infants Hospital of Rhode Island, the VNA of Care New England, The Providence Center, CNE Wellness Center and Integra, a certified ACO created in collaboration with the Rhode Island Primary Care Physicians Corporation. Care New England includes 970 licensed beds and 216 infant bassinets. Through Butler, Memorial and Women & Infants, Care New England has a teaching and research affiliation with The Warren Alpert Medical School of Brown University. Kent is a teaching affiliate of the University of New England College of Osteopathic Medicine. For more information, visit carenewengland.org. Southcoast Health is a community-based, health delivery system with multiple access points, offering an integrated continuum of health services throughout Southeastern Massachusetts and Rhode Island. It includes the three hospitals that make up Southcoast Hospitals Group — Charlton Memorial Hospital in Fall River, St. Luke’s Hospital in New Bedford and Tobey Hospital in Wareham; and Southcoast Behavioral Health in Dartmouth, a joint venture hospital with Acadia Healthcare, an international leader in psychiatric and addiction care. Southcoast Health provides advanced clinical services, such as open heart surgery, angioplasty and heart rhythm services, comprehensive cancer care, neurosurgery, weight loss surgery, orthopedic surgery, advanced imaging services, and maternity services. Southcoast Health is a not-for-profit charitable organization that depends on the support of the community to provide services. For more information, visit southcoast.org.